You love your car more than any other asset owned by you and therefore you always want to get every work done on your car whether it is servicing, repairing or replacing any of its damaged parts. But, as you do not have the required tools or knowledge about all these aspects you are compelled to get all these activities accomplished at the car service centre. And unwillingly you have to see your car being serviced by the other. Interestingly still there is one task related with your car which you could do at your home and which could offer you certain sort of peace for doing something with your hands for your beloved car. Well this might surprise you that after getting the car serviced and repaired by other how can you do something personally for your car? Interestingly an answer to this question is by washing it at home and that also by your own hands. Doing this will not only offer you state of mind but also give you mental satisfaction that atleast your car safe from any type of scratch or denting which might take place while getting it washed at the service centre. The only thing however for washing your beloved asset at home is having the necessary tools for accomplishing the mission. 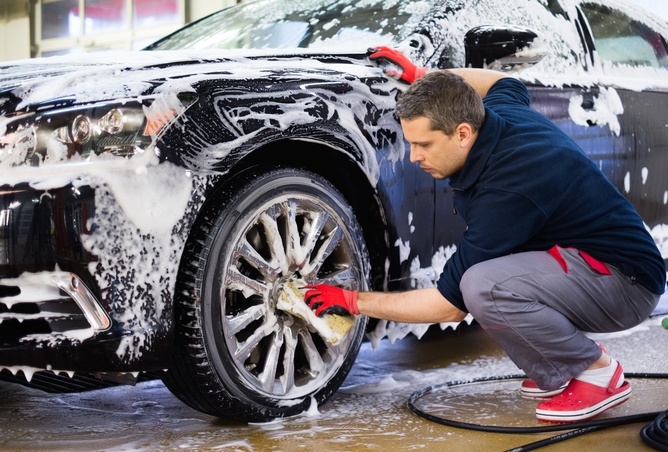 Things required for washing: Washing brush for cleaning the tyres, pair of microfiber clothes, washing shampoo, car polish, medium pressure water jet, washing mitts, and window cleaner. Here it would be important to mention that before washing the car let it get cool and park it under a shade. The main reason for parking it at some cool place is that the shampoo will quickly get dry on hot surface thus leaving hard stains on the car which could be difficult to clean while washing. 1. Cleaning the wheels: This might surprise that instead of washing the car from top why there is need of starting its washing from the beneath. Actually doing this minimizes the chances of scratches on the body of car which might emerge due to use of same washing sponge for several times. To clean the wheels rinse the wheels with water jet, after which fill the one bucket with shampoo water and start cleaning the wheels with water sponge, doing this will remove all the dirt from the wheels. After that wash the wheels with clean water filled in the other bucket and after completely removing the soap from wheels make use of water jet for cleaning the wheels with full pressure of water. 2. 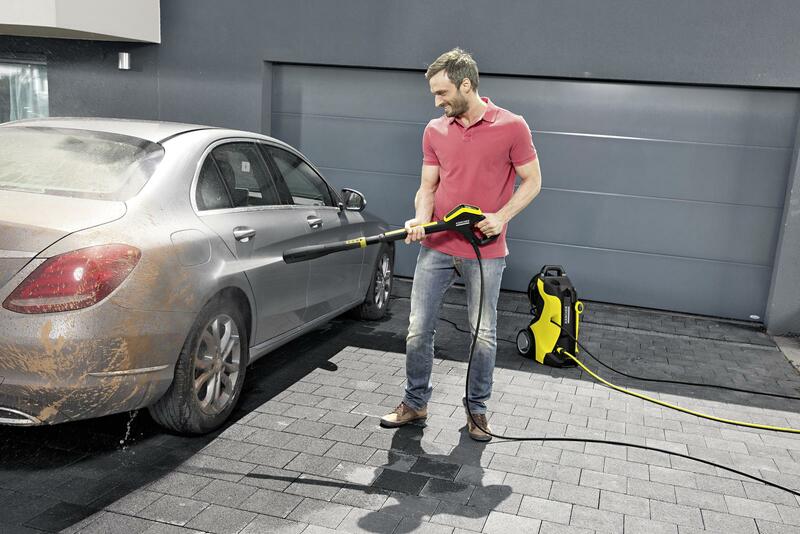 Cleaning the exterior body: Rinse the whole exterior body with the mixture of shampoo and water and then use the medium pressure jet over the body, doing this will remove the dirt from whole body and ready for cleaning rigidly with shampoo for removing the stubborn stains completely. Once you have cleaned the whole body make use of pressure jet for washing the car for removing the shampoo and removing the dust from the body. 3. Drying the body and polishing it: Once you have washed the car with full pressure it is now time for you to clean the whole body with microfiber cloth by gently rubbing the whole body. Once you have dried the whole car it is now time to polish it for retaining its original shine. 4. Cleaning the windows: If you think that you can use the same shampoo for cleaning the windows that you have been using for cleaning the body of your car then you are at an edge of doing a big mistake. The windows should be cleaned with windows cleaner that will help in removal of bird droppings, and other stains creating an obstacle from enjoying the clear from the mirror. Once you have accomplished the operation it is now time for you to relax down with smile of relief for washing your car personally.